Joey Pascarella (52). Photo courtesy of Max Klein, OXYmoron Photography. SONOMA, Calif. (Sept. 6, 2016) — Joey Pascarella took another podium in round five of the American Federation of Motorcyclists (AFM) premier class on Sunday at Sonoma Raceway. In the first lap Pascarella dropped from position one to two, which he then maintained for the duration of the race. Pascarella is currently second in the Dunlop Race Tire Service Formula Pacific Championship. 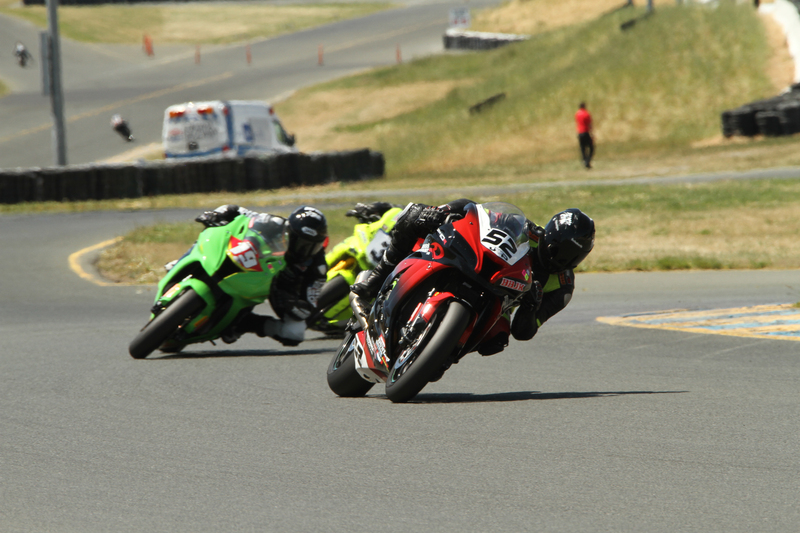 AFM round six takes place on October 1-2 at Thunderhill Raceway in Willows, California.